Good things take time. With patience and continuous effort, these projects will move forward to eventually benefit everyone in our community. Directions: Park entrance is at Harrison Ave and Lowe St. , next to Panda Restaurant. 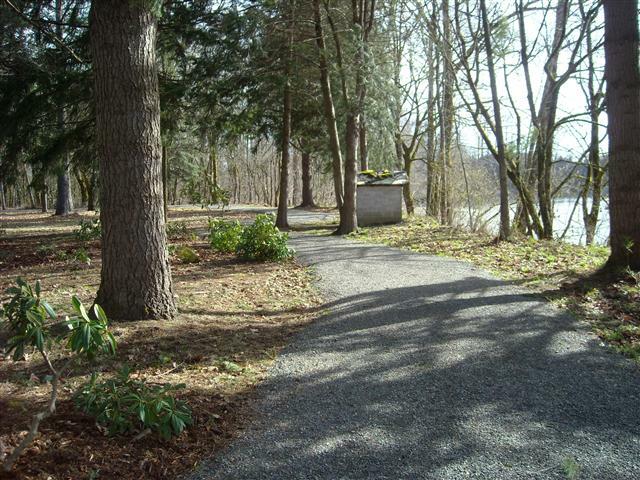 The walking trail at Centralia's Rotary Riverside Park is a half mile loop that goes around the park and along the Skookumchuck River for a short stretch. It is a good place to get a quick 'nature fix' right in the middle of the city. FROM CENTRALIA/CHEHALIS AREA: Take Exit #82 from I-5 onto Harrison Avenue. Follow west (toward Ford’s Prairie) through Galvin Road intersection (traffic signal) and 1.5 miles farther to Goodrich Road on Left. Follow Goodrich Road to its end, past the Wastewater Treatment Plant to gate and parking area on right. Trail begins at gate. Please remember that the Trail is adjacent to a private, working farm. Stay on the trail and give farm equipment the right of way. Horseback riding, camping, fishing, motor vehicles, hunting, etc. are not allowed. The Discovery Trail follows the bank of the Chehalis River for over a mile on property purchased for Centralia's new wastewater treatment system. 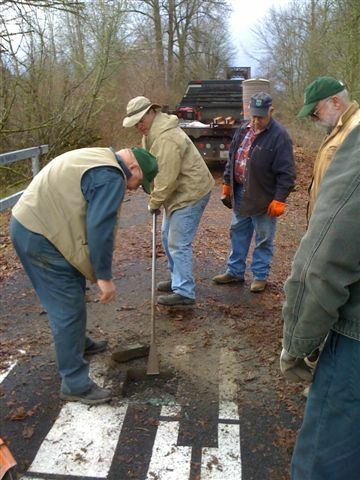 The Chehalis River Land Trust and the City of Centralia Utilities Dept. were instrumental in developing this trail. Many trees have been planted by volunteers in the area to slow erosion and eventually help cool the river. It is used (by appointment) for school groups and other organizations. It's a great birding area as well as just a peaceful walk along the river. The Discovery Trail is at the north end of the proposed 6 mile Chehalis River Walk starting in Borst Park. Have fun - bring your binoculars. Directions to Airport Trailhead: From I-5 take exit 77. Go north on Louisiana Ave .5 mile. Left on NW Airport Road to parking area on the right. From the parking lot the trail begins on top of the levee. It continues for 2 miles along Airport Road past Riverside golf course, with a view of farm land on one side and the airport on the other. As it heads towards the freeway it drops off the levee and rises up again to Louisana Ave behind Uhlmann Motors. For the next 1.5 miles the trail is along the sidewalk and roadway of retail businesses - Home Depot, Walmart, K-mart ... back to the parking area on Louisiana Ave. The levee, protecting the airport from flooding, is an important link in the TransAltaTrail that will eventually connnect Centralia and Chehalis with a traffic-free walking/biking route. 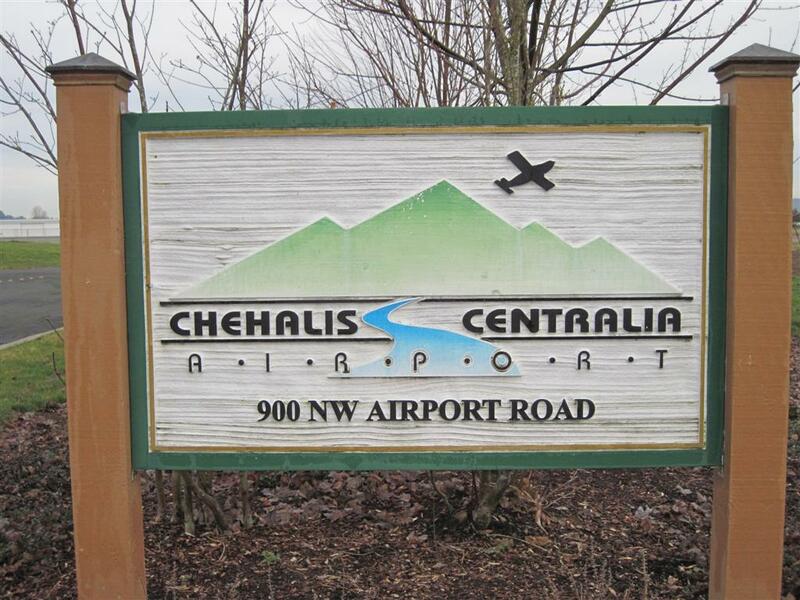 The trail is a result of cooperation between the Corp of Engineers, the Chehalis/Centralia Airport and Lewis County Community Trails. The Corp has repaired the damage from the 2007 flood and the Airport board and LCCT have matched funds to complete the widening and gravelling of the levee surface completing the loop trail. The trail loop consists of two loops. The first loop circles Borst Lake for a little over half a mile. 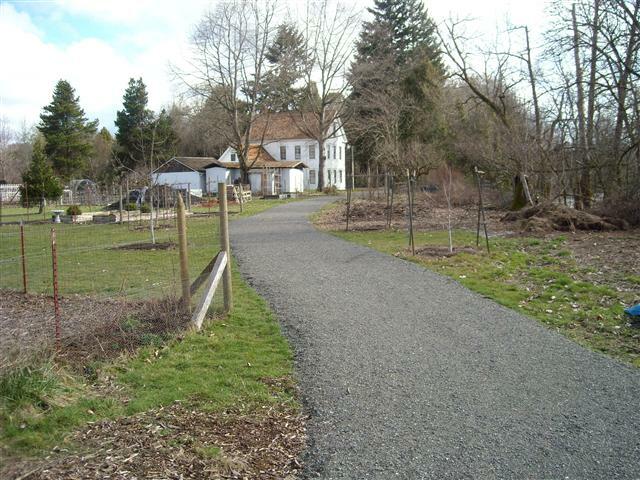 The second loop meanders past the dog park, rhododendron gardens to the Borst Historic Home. From there it continues past the boat launch on along Bryden Ave and through the new sports complex where it returns to the trailhead by the lake. The Smooth Mile tril is exactly one mile with distance markers every quarter mile. They are used by a variety of park patrons: old, young, strollers, joggers, dog walkers, Jr. High runners and more. Their heavy use has shown the need in this area for more places to get outdoors and exercise in a safe natural setting. 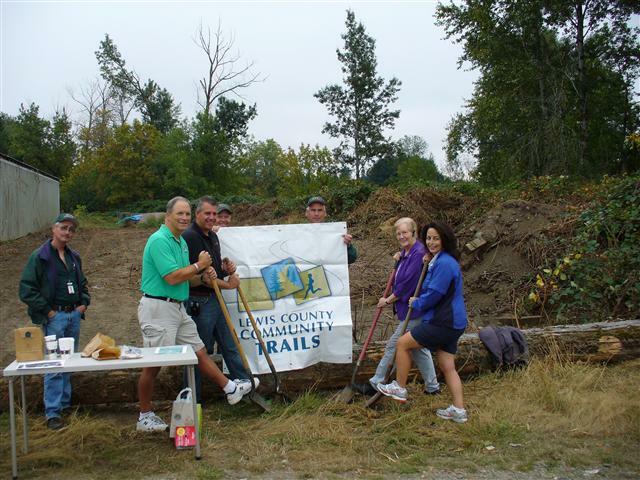 The trails are the result of the cooperation between the Lewis County Trails Assn, Centralia Parks Department, Centralia School District and the Public Facilities District. 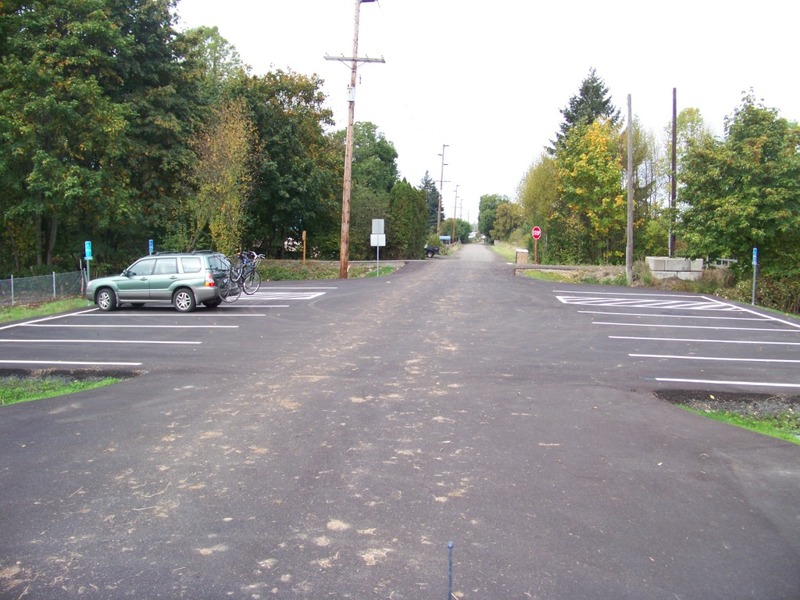 Directions to Trailhead and Parking: From downtown Centralia. Go east on Locust St. 5 blocks to Barner Drive. This large 73 acre urban natural area occupies hilltop property overlooking Centralia, the Chehalis and Skookumchuck River valleys and the municipal water reservoirs on Seminary Hill Road. The original property holdings consisted of the reservoir lands. The open space area was enlarged in the 1980s with the assistance of the local conservation group Friends of Seminary Hill. A trailhead was later established at the end of Barner Drive, providing public access to the natural area’s steep trails, woods and vistas. The 2.5 mile trail system is generally in good condition depending on weather.